The types of issues which a commercial litigation lawyer is likely to become involved in include business disputes, alternative dispute resolution, contract disputes, debt recovery and credit control, commercial leasing, and insolvency. Other issues which a commercial litigation solicitor can provide advice and representation on include shareholder disputes, defamation and professional negligence. Most businesses, even those successful and well run, face litigation and disputes from time to time. Any commercial or business litigation case, whether involving breach of contract, employment law or a host of other types, will inherently create problems for business and can prove extremely costly. If you have a legal matter and would like help from a Commercial Litigation Lawyer, then please complete you free Legal enquiry form on the left, or click here. Skilled commercial and business litigation lawyers know how to strike a balance between strongly advocating a clients position whilst strategically aiming for an early settlement of a dispute, as the longer any business dispute continues, the more it costs. Specialist business and commercial litigation lawyers assist businesses of all types and sizes with a very wide range of problems and disputes including but not limited to breach of contract, debt recovery, construction law, property law, landlord & tenant, and internal issues, such as shareholder disputes, director disputes, partnership disputes or employment law issues. If you have a court matter regarding commercial litigation and would like legal help from a Commercial Litigation Lawyer, then please complete you free Legal Advice enquiry form on the left, or click here. Commercial Litigation Lawyers are experienced in the litigation of disputes across the spectrum of business for Australian and international clients. Commercial Litigation Lawyers are strong in litigation, arbitration and other dispute resolution mechanisms. Commercial Litigation Lawyers essentially have the resources to conduct commercial litigation pursuing and defending causes of action in negligence, nuisance, defamation, intellectual property (patents, copyrights, designs, unfair competition, confidential information, trade marks) infringement, debt recovery (contract law), passing off and misrepresentation. Commercial Litigation Lawyers have strength and depth in litigation of all types. Commercial Litigation Lawyers aim to make court, arbitration and mediation procedures work positively. They focus on achieving clients' objectives but without tunnel vision and always keeping the wider picture in view. Commercial Litigation Lawyers are experienced in dealing with both business and private clients in disputes involving breach of contract;negligence claims including professional negligence and personal injury; land and property disputes including business lease renewal claims and employment disputes for both employer and employee. Commercial Litigation services are also provided to residential Landlords from drafting tenancy agreements to taking possession proceedings. Resolving disputes can be expensive. Commercial Litigation Lawyers can provide a cost effective service and offer a range of funding alternatives to meet this obligation including contingency and conditional fee arrangements and, where appropriate, arrange after the event legal expenses cover. If you need legal advice regarding Commercial Litigation Law, then please complete your free legal enquiry form on the left, and we will put you in touch with a Commercial Litigation Law lawyer nearest you, who can help you with Commercial Litigation Law. Our free legal enquiry service for Commercial Litigation Law extends to all suburbs throughout Australia. Presentation Of Commercial Cases In The Supreme Court Of New ..
 Commercial litigation is a far more attractive concept to lawyers than it is .. The commercial litigation lawyer practices in a landscape that is ..
Commercial Litigation: Tips for Success and Traps for the Unwary: A .. the commercial community and lawyers litigating in the commercial area ..
.. internet, telecommunications and internet business, sports and the .. as a commercial, media and litigation lawyer at national commercial law .. Litigation Areas of Expertise | Victorian Government Solicitor's Office ..
We provide advice to the Attorney-General on whether it may be appropriate, and .. the State of Victoria in complex commercial litigation in the Supreme Court of ..
from 1981 as a litigation lawyer in Sydney, when his work covered Commercial. Litigation; Aviation Law; Insurance; Professional Indemnity & Personal Injury; ..
Lawlink Crown Solicitor's Office Our expertise Commercial/Property Law (Litigation) Practice Group, Print page. Commercial/Property Law .. Litigation Branch Lawyers have successfully managed some of the most complex and controversial civil and commercial litigation in recent ..
Donaldson Walsh Lawyers is a premier South Australian law firm specialising in commercial, workers compensation, litigation and insolvency law. .. Personal Profile of the Hon Julie Bishop MP, Minister for Education .. Prior to entering Parliament, Ms Bishop practised as a commercial litigation lawyer for 20 years and was Managing Partner of national law firm Clayton Utz in ..
We help our clients assess legal, commercial and other considerations to .. team of specialist public lawyers are skilled at advising on all matters of civil litigation .. He is a lawyer and also has qualifications in e-business. .. He is a qualified lawyer and has practised as a solicitor in insurance, commercial litigation and ..
Blacktown. Environment, planning and local government, business law, commercial litigation. Solicitor for Blacktown City Council covering all areas of legal work ..
Our litigation lawyers have extensive experience in federal courts and .. wide area and includes common law, commercial litigation, trade practices and taxation. .. These groups—Commercial, Litigation and Dispute Management, and Government—concentrate on developing our lawyers' skills and talents, and the product ..
ASIA LAW CORPORATION LAWYERS & NOTARY PUBLIC .. Commercial litigation, corporate, banking and finance, shipping, information technology, appeals ..
Lawyers in Indonesia are admitted to practice in the courts of a particular province .. and non-litigation issues which includes but not limited to Commercial, Civil, .. The Solicitor for the Northern Territory (SFNT) provides civil litigation, commercial, Native Title and policy services to government, manages the ..
commercial litigation and environmental law, has advised governments on policy .. Administration Tribunal and was the in-house lawyer in Queensland for the .. It is not an exhaustive list of lawyers practising in Kuwait, but an .. Speciality: Litigation and arbitration; corporate and commercial law; general ..
Naomi began her legal career in Western Australia at boutique law firm Hardy Bowen Lawyers, practising in the areas of administrative law, commercial litigation ..
From 1980 to 1989 he worked in the Commonwealth Attorney-Generalâ€™s .. He has a wide range of commercial litigation experience, with particular expertise .. In 2008, she joined the Commercial Litigation team at HWL Ebsworth Lawyers, where she specialised in banking and general commercial litigation, as well as ..
Presidential and member profiles - QCAT Queensland Civil and ..
She practised in commercial litigation and environmental law, has .. Administration Tribunal and was the in-house lawyer in Queensland for ..
.. in the areas of commercial litigation, medical negligence and planning law. .. In 1997, Judge Sharp joined the Crown Solicitor's office as Deputy Crown ..
Lawyers acting on speculative and contingency fee agreements. Legal aid. Lawyers acting pro bono. Commercial litigation funders. Insurance ..
For more information on the range of work we undertake, please see our Annual Report, or any of the publications by our commercial, litigation and government ..
Our litigation lawyers are skilled in conducting commercial litigation, from contractual disputes to issues arising from tender process or actions under trade ..
Trends in International Commercial Litigation Part II - The Future of .. They lawyers will charge the litigant nothing for their services but instead .. wholly unsuited to, in particular, international commercial litigation. .. Solicitor. BA (Hons), JD. work+ 61 38684 0246. madeline.miller@vgso.vic.gov.au. Areas of law: Commercial Litigation; Workplace Relations & Regulatory ..
Commercial Causes Centenary Dinner - Supreme Court : Lawlink ..
"A stupid man, a very ill equipped lawyer, and a bad judge. .. The organisational structure for commercial litigation has changed over that time ..
25 October 2010, New South Wales Young Lawyers' Association State Of The .. 26 August 2003, Commercial Litigation: Tips for Success and Traps for the ..
play in ensuring the efficient disposition of commercial litigation. ... 18 A.A.S. Zuckerman, “Reform in the Shadow of Lawyers' Interests” in A.A.S. Zuckerman and ..
Michelle completed her articles at Bazzani Brand Lawyers, where she stayed for about six years and was involved primarily in commercial litigation and ..
We welcome inquiries from senior lawyers with specialisation in commercial, litigation and government practices. If you would like to discuss opportunities to ..
We have a commercial dispute resolution group that combines the talents of our commercial and litigation lawyers to provide the best possible outcome in any .. He had previously held positions responsible for the legal and business affairs .. as a commercial, media and litigation lawyer at national commercial law firm ..
by CJOFNEWS WALES - Of course, this objective can never be completely achieved. This leads to disputes and litigation about what words mean. Commercial lawyers ..
Former Principal Solicitor, Public Interest Advocacy Centre. Greg has led the .. Former Senior Partner, Middleton Commercial Litigation Group. ..
TO THE NSW YOUNG LAWYERS LITIGATION SEMINAR .. time Chief Justice Spigelman predicted that “business lawyers” may be “bypassed” ..
For eight of those years she was a Managing Lawyer. .. Force and as a solicitor in family law, criminal law and commercial litigation variously for Cassidy Gibson ..
Victorian Government Solicitor's Office | VGSO .. Commercial & Property · Commercial Litigation · Compulsory Acquisition · Construction · Costs · Criminal Law ..
She then resumed her career as a lawyer and spent two years as a solicitor at a small city firm, primarily practicing in property, leasing and commercial litigation. ..
by ML Glanfield - In November 2005, the Standing Committee of Attorneys General (SCAG) agreed that .. Commercial funding of litigation in Australia has grown out of a statutory .. In Charity we Trust: Charities as Potential Beneficiaries of Failed Commercial Trusts ..  HCA 27: What does this mean for litigation and how will it affect trial preparation? ... Speech - Reflections of a Solicitor on the Supreme Court Bench ..
She then moved to Donaldson Walsh Lawyers' commercial litigation and dispute resolution section, before settling in Melbourne and working with another ..
.. practised as a commercial, media and litigation lawyer at national commercial law firm Blake Dawson. Before that Richard worked in program ..
CM 11 - Search Orders aka "Anton Piller Orders"
(e) the name, address, firm, and commercial litigation experience of an independent solicitor, who consents to being appointed to serve the .. Solicitor of the Supreme Court of Queensland. *. Solicitor of the High .. Consultant. *. Consultancy services (in commercial law, dispute resolution & litigation) to .. He was previously a partner in a private firm, specialising in commercial litigation. While he initially worked in the CSO's Criminal Law Practice ..
Case Management in the County Court: Certification Requirements .. This has led to a substantial increase in commercial litigation in the County. Court and in .. judges and lawyers as the best way of achieving the highest rate of .. Solicitor. LLB. work+ 613 8684 0424. bronte.campbell@vgso.vic.gov.au. Areas of law: Commercial Litigation; Dispute Resolution. Bronte completed a clerkship ..
o Business, family and community. - Allens Arthur Robinson - Lawyer - 3 years - 2007- 2009 o Product liability, trade practices, general litigation, corporate and ..
.. her career specialised as a broadcasting and administrative lawyer, ... as a commercial, media and litigation lawyer at national commercial ..
She works closely with our litigation lawyers and information technology people to .. She is highly experienced in commercial litigation and alternative dispute ..
personal injury, public liability, transport infrastructure litigation, workers' .. commercial, civil, public liability, planning and environment appeals, ..
Dianna started her career at Allens Arthur Robinson, where she worked in commercial litigation and information technology. Following commercial practice, she .. The Queensland Law Society can refer you to a specialist lawyer. ... legal advice on commercial litigation if you cannot afford a private lawyer. ..
Criminal and Civil Litigation, Incorporation of companies, Arbitration, Intellectual Property, Commercial Law, Labour,. Banking, Personal Laws for Muslims .. Negotiating successful outcomes in litigated property disputes .. Worked in my capacity as solicitor in complex, high value (and in some cases high .. Congratulated by the client on ingenious and commercial approach to tackling cases ..
Commercial Litigation And Arbitration: New Challenges - Supreme ..
Lawyers are not and have not been immune to this expectation. The costs and delays of commercial litigation and of corporate insolvencies can ..
Daniel commenced as a solicitor at Dibbs Abbott Stillman (as it then was) and worked in their construction and commercial litigation team. Subsequently, he .. Admitted to Practice as a Solicitor of the Supreme Court of New South Wales on 2 .. Litigation and Advocacy (Commercial Litigation). Past Early Neutral .. The Attorney-General appoints members to the council on the basis of their individual .. competition law and commercial litigation as a partner at Minter Ellison. .. Seminars - Crown Solicitors Office : Lawlink NSW - Crown Solicitor's ..
Wednesday 18 April 2012, CSO Commercial/Property (Litigation) Practice Group .. Alison Merridew, CSO Solicitor presented a paper on ex gratia payments in ..
Alicia commenced work as a paralegal at Oakfair Lawyers whilst at university and .. in civil and commercial litigation for a private firm and on personal injury and ..
Attorney General's Department - 21 November 2008 - 'Simply ..
All of us here, whether arbitrators, lawyers, corporate counsel or from Government, have a responsibility to ensure international commercial ..
.. Accidents. Family Law Criminal Law Wills;Estates; Contested Estates, Commercial Litigation .. Andrew Rogers Business & Personal Lawyers View details ..
Jade Birman. Solicitor. BCommerce, LLB (Hons.) work+ 61 3 8684 0452. jade.birman@vgso.vic.gov.au. Areas of law: Commercial Litigation; Dispute Resolution .. This history explains the development of the office of Crown Solicitor and .... The Commercial Law and Commercial Litigation groups were ..
LAWYERS IN MACAU. This list (in .. from information publicly available regarding lawyers practising in Macau. By providing this ... Civil Litigation, Commercial, ..
Property. Liability limited by a scheme approved under. Professional Standards Legislation. Commercial Litigation. Planning &. Taxation. Commercial Tenancy ..
On 10 May 2010, the Attorney-General asked the ALRC to identify law ... and Melbourne—as the hubs of commercial litigation in the Federal ..
A Judicial Perspective on what the Court expects from legal ..
.. Court expects from legal practitioners in equity and commercial litigation. .... The lawyers blacked out a couple of lines in which he agreed with Professor .. In 1983, your Honour moved to the firm of Baker & McKenzie where, for the next four years, you worked as a commercial litigation lawyer. ..
NSWYL Civil Litigation Committee - submission on small business ..
Small Business Disputes Options Paper. 1 July 2011. Chair, Civil Litigation Committee, NSW Young Lawyers: Elias Yamine. Chair, Submissions Sub-Committee ..
Our services in this area include: advice and assistance in negotiating commercial agreements; drafting agreements; property law services; commercial litigation ..
New South Wales Young Lawyers' Association State Of The Profession. Address ... 2007 the Chief Justice focused on commercial litigators with the anecdotal ..
Ware and Partners Lawyers. Practitioners in property law, commercial, business and migration law, project development, commercial litigation, family and ..
Transaction Costs and International Litigation - Supreme Court ..
by CJOFNEWS WALES - - Minimising the transaction costs of international litigation requires the attention of business lawyers and of commercial judges. I do not doubt ..
.. of commercial litigation, intellectual property and competition law. .. His Honour was formerly a partner of Minter Ellison Lawyers, Group ..
Trends in International Commercial Litigation Part I – The Present ..
Trends in International Commercial Litigation Part I – The Present State of .... 20 Attorney-General (United Kingdom) v Heinemann Publishers ..
1 day ago – Online business is quickly becoming the way to do business for both large and small business owners. .. Warren McKeon Dickson Lawyers in both the Corporate and Commercial Group and the Commercial Litigation Group. ..
Jump to content. Skip to the content. Skip to the navigation. Department of Attorney General and Justice. Legislation Policy and Criminal Law ..
Victorian Government Solicitor's Office | VGSO .. Commercial & Property, Commercial Law, Commercial Litigation, Commerical Leasing, Compulsory Acquisition ..
Victorian Government Solicitor's Office | VGSO .. Commercial Law, Commercial Litigation, Commerical Leasing, Compulsory Acquisition .. Critical to this is whether you are 'carrying on a business' or whether relevant exceptions apply. .. According to this view law is a deemed 'business' only and calls for ruthless competitiveness. The 'law as .. According to the Rambo lawyer, litigation is war. ..
part of Australian lawyers, particularly judges but also practitioners and academics. ... Commercial Litigation which we organised together with the High. Court in ..
1.1 On 10 May 2010 the Attorney-General of Australia, the Hon Robert .. the Managing Justice inquiry submitted that '[i]n large scale commercial litigation, it is our .. the basic facts—how much civil litigation there is, and what lawyers earn; ..
Changing Attitudes in the Common Law's Response to International ..
Not everyone would regard greater involvement of lawyers as an ... It is the bane of modern commercial litigation that the parties often lose ..
Lawlink Crown Solicitor's Office Our people Commercial/Property Law (Litigation) Practice Group, Print page. Commercial/Property Law ..
Attorney General's Department - 21 May 2010 - Appointments to the ..
For 16 years he specialised in insolvency and commercial litigation; first as a solicitor and then as a partner in Phillips Fox and later as a ..
by S Regulation - 2009 welcome to everyone devoted to commercial litigation, especially .. So we have the judges, the counsel and lawyers, the commercial litigation .. Accredited until 23 December 2013. Graduate Certificate in Applied Law (Commercial Litigation) Graduate Diploma of Applied Law (Commercial Litigation) ..
CROSS-BORDER ISSUES FOR COMMERCIAL COURTS: AN ..
SECOND JUDICIAL SEMINAR ON COMMERCIAL LITIGATION. HONG KONG ... business lawyers and judges to enhance mechanisms for the ..
Emaik ~ Web: www.domenechabogados.com. (Corporate, lntellectual Property, Real Estate Law) (Real Estate, Litigation' Taxation' Commercial,. , Family Law ..
regulation of commercial litigation funders by the AustraIian. Securities .. Once the limit of indemnity has been exhausted, the solicitor. wiIl be required to fund .. CONTRACTUAL INTERPRETATION: A COMPARATIVE ..
of any significance, lawyers and judges have before them a text, often a long and .... The history of commercial litigation until this time would suggest that the ..
Commercial, and Litigation and Dispute. Management. The practice groups concentrate on developing our lawyers' skills; building legal service capability ..
By their involvement business lawyers add value to commercial transactions. .. Hence disputes and litigation about what words mean. ..
(e) the name, address, firm, and commercial litigation experience of an independent solicitor, who consents to being appointed to serve the order, supervise its .. Obligations on parties and lawyers to certify adherence on commencement of civil .. and procedures – such as those applied by the Commercial Court of the Supreme .. changes in civil litigation in England since the reform of the English Civil ..
She has been a business journalist with V since 1983. .. 'The marketing of foreign currency loans and subsequent litigation by off-shore borrowers .. 'The lawyers' findings in the letters were explosive, showing culpability of PPL as well as ..
Rich Text Format - As part of that, there will grow a number of centres of commercial litigation. ... The Principle recognises that the forum lawyers should be in charge of the ..
Graduate Diploma of Applied Law - Commercial Litigation. logo .. This course is designed to assist students to become more effective commercial litigation ..
After time as a barrister and solicitor in Victoria and lecturing in Law in the United .. in the fields of bankruptcy and insolvency law and commercial litigation. ..
Senior Solicitor. LLB, BA, BPD. work+61 3 9947 1422. james.stephens@vgso.vic.gov.au. Areas of law: Commercial; Constitutional Law; Construction; Litigation .. The Court Process - General Federal Law - Federal Magistrates .. This is particularly so in commercial litigation such as consumer law, .. Where at least one party is represented by lawyers the Court will be ..
within the legal profession and the community with lawyers now promoting .... 29 The Hon Justice M Warren, “Commercial Litigation and the Commercial List in ..
You are highly regarded as one of the nation's leading commercial lawyers .. the firm since specialising in commercial litigation with a particular interest .. The Crown Solicitor's Office offers a wide selection of areas of practice. .. in the District Court on the instructions of the Office of Consumer & Business Affairs. .. The Civil Litigation Section advises on, or has the carriage of, a number of large ..
1977 - 1985. Practice predominately commercial litigation, contractual .. eminent Singapore lawyers (including four Senior Counsel) as a plenary session. I also .. Associate Professor Hutchinson was admitted as a solicitor in 1986, and held the position .. Mr Bond's practice is in the area of commercial litigation and advice. ..
the Litigation Branch during which he was responsible for providing authoritative, .. Framework, mentoring our lawyers in client management and business .. I am a highly qualified lawyer with a proven track record of achievement in the law. ... Assisting partners in the Mergers & Acquisitions and Commercial Litigation .. Accredited Commercial Litigation Specialist NMAS Accredited Mediator. Email - info@arbitrator.com.au. Internet - www.arbitrator.com.au. Telephone +61 3 9629 ..
Damien O'Donovan Senior Executive Lawyer .... Graham Thorley specialises in trade practices and commercial litigation and acted for the ACCC in the ..
Victorian Government Solicitor's Office | VGSO .. her broad-based commercial and litigation experience and localised expertise in mergers and acquisitions. .. Admitted: Solicitor of the Supreme Court of New South Wales ... Broad experience in general commercial litigation; managing, conducting, supervising and ..
context of commercial litigation but now more widely adopted, represents .. held view that lawyers and judges will take less time to hear a case ..
Business contracts + advice Intellectual property + trade Sydney. Litigation/dispute resolution Tax+superannuation _ acquisitions Property + ..
had a distinguished career in the solicitor branch of the profession. You have had a great deal of experience particularly in commercial litigation ..
A deterrent to the assertion or the defence of rights in civil litigation is a fear of .. by reference both to party and party costs and by reference to solicitor/client costs. .. would be applied principally to commercial litigation at the lower end of the .. List of Portuguese lawyers conversant in English in the Algarve area .. Areas of Practice: Court cases, Commercial matters, Legal advice and services in .. of the civil, administrative and criminal Law, Civil litigation, Civil and Commercial law, ..
presented by Justice Steven Rares to the Federal Court of Australia's International Commercial Litigation Conference, Sydney 28 November .. The NSW Young Lawyers' Civil Litigation Committee (the Committee) ... that, large, commercial litigation funders may act as the architects of the litigation which ..
Jennifer, who is from Northern Ireland, qualified as a solicitor in 2000 (after the .. She practiced in Commercial Litigation with a small firm in private practice from ..
Head Office | Aboriginal Land Unit | Agency Legal Services | Commercial | Library | Litigation | DPP Darwin - Alice Springs | Solicitor General ..
French law in English, and: Business and corporate law, commercial law, intellectual property law, tax law and commercial litigation 44 Ave. des Champs- ..
family lawyers.” The other lawyer works in litigation and commercial law. She works three days per week, has been successful in maintaining her litigation ..
Proposal 1: Establish an ADR Directorate within the NSW Attorney General's .... Another pre-litigation strategy for commercial clients is the use of commercial ..
Family Court of Australia - Local Barrister appointed Family Court ..
Mr Austin has engaged in continuous work as a litigation lawyer for 24 .. employment law, equity, building cases, commercial and common law ..
Attorney General with recommendations. For more ... Lawyers acting on speculative and contingency fee agreements . .. Commercial litigation funders . ..
Stephen Lee, Assistant Victorian Government Solicitor. The notes are not .. the State is immersed in litigation, it must .... are prepared to pay commercial rates. .. Details of the State Solicitor's Office articles of clerkship graduate recruitment program. .. General litigation work mainly relates to interlocutory procedures such as .. of commercial practice and this rotation offers useful exposure to Court work. ..
affairs side of Network Ten's programming activities, and practised as a commercial, media and litigation lawyer at national commercial law firm Blake Dawson. ..
in commercial litigation, with a specific focus upon the cases which .... were acting for an accused person in a criminal trial as a lawyer ..
Attorney General's Department - 4 December 2009 - International ..
Last week at the International Commercial Litigation and Dispute Resolution Conference I described key reforms underway to facilitate ..
there is a clear majority view amongst commercial litigators and counsel, shared ... based on in-depth interviews with 54 lawyers, insurers, and claim managers. ..
Legal professional privilege and commercial transactions .. more complex, there is an increased risk of dispute or litigation – agencies need to ..
JONATHAN FEDER SENIOR ASSOCIATE-COMMERCIAL LITIGATION- .. Middletons Lawyers, Jonathan Feder and Lisa Egan - experts on intellectual property ..
Attorney General's Department - 17 June 2008 - Australian Financial ..
Attorney General's Department .. Challenges of Commercial Litigation .. For Government, large-scale commercial litigation poses a different ..
general commercial litigation. Declaration of essential facilities .... Professional Fees in Federal Jurisdictions (Canberra, Attorney-General's. Department, 1998). .. In her most recent position, Camille led a team of 85 lawyers and analysts working .. Senior Partner, Middleton Commercial Litigation Group. .. In major commercial litigation in particular, discovery can be a huge .. To most common law lawyers the rationale of discovery procedures is self- evident. ..
Anna was admitted in 2009 and joins the VGSO from Henderson & Ball Lawyers. There, she worked in Commercial Litigation, Employment Law, Debt Recovery, ..
She was admitted as a Barrister and Solicitor of the Supreme Court of Western .. environmental and planning law, resources law and commercial litigation. .. Author: International Commercial Litigation and Dispute Resolution Conference .. Ross Parsons Centre of Commercial, Corporate and Taxation Law, Sydney : .. Section 37N(2) makes clear that this duty also applies to a party's lawyer—to act .... When this is placed in the context of commercial litigation, the volume of ..
10+ items – Photo of staff from the Crown Solicitor's Office. Contact us .. The Crown Solicitor's Office provides legal services to the State Government of NSW .. child protection law, employment law, commercial property and litigation, .. Litigants, lawyers, court administrators, judges, and the executive ... Much litigation, especially commercial litigation, now has an international element, because ..
Rich Text Format - Chair, Submissions Sub-Committee, NSW Young Lawyers Civil Litigation Committee .... This is particularly manifest in very large commercial discoveries, where ..
to his or her lawyer (solicitor/client costs), fees owed to the other side if a .. upon whether the litigation concerns a business conducted by the applicant, ..
We operate as a commercial enterprise within the Department of Attorney .. The Crown Solicitor provides legal services to the State Government of .. many of which are long-running matters involving substantial litigation. ..
result, and an American oil and gas lawyer who dissented. Accordingly, the ... The harmonisation of procedure for commercial litigation amongst the major ..
Rich Text Format - The great commercial lawyer, Scrutton LJ, noted that a trial before Lawrance J in .... A number of areas of litigation are governed by statutory rules, such as the .. This is particularly so in commercial litigation such as consumer law, .. Where at least one party is represented by lawyers the Court will be assisted if a short ..
significant commercial dispute the flag-fall for discovery is often $2 million, .. lawyers involved in litigation involving large corporate clients face a huge job in ..
efficient business or commercial section of the community unless you have ... time to disposition, litigation costs and lawyers' satisfaction and views of the ..
(03) 9607 9367, or Irene Chrisafis (Litigation Lawyers Section Lawyer) by email on ... below commercial cost will lead to a situation that few private ADR ..
Trove - International commercial law, litigation and arbitration .. Author: Conference on International Commercial Law, Litigation and Arbitration Sydney, N.S.W.) (2011 .. NSW Department of Justice and Attorney General. .. The Australian Government Solicitor provides a range of publications to assist .. up-to-date on cases and issues relating to commercial and litigation matters, ..
expert advice to the Attorney-General on the development of high quality, .... law and commercial litigation as a partner at Minter Ellison. ..
Access to Justice (Civil Litigation Reforms) - Attorney-General's .. This will be particularly useful when the court is dealing with complex commercial litigation, often referred to as 'mega-litigation' and also, ..
Osland: making public comments about legal advice | Victorian ..
Victorian Government Solicitor's Office | VGSO .. from disclosure for the purposes of obtaining a strategic advantage in financial or commercial litigation. .. The role of a Trainee Lawyer with the VGSO is wonderfully diverse, .. Commercial,Property & Technology, Litigation & Dispute Resolution, VGSO at the Victoria ..
Peter is a barrister with a broad practise in civil litigation, family law and crime. .. after 17 years at the Commonwealth Attorney-General's Department, .. His practice includes commercial litigation, professional discipline, ..
.. topics addressed in the Taskforce's report is broad, this submission is limited to addressing class actions, full cost recovery, and commercially funded litigation. ..
.. disputes, customer complaints, family conflict, commercial litigation and land management. .. Mr Fabian Dixon SC is a prominent family lawyer in Hobart. ..
Mitry v Business Australia Capital Finance Pty Ltd (in liquidation)  ... Lawyers: negligence; plaintiff obtained order under Family Provision Act .. basis of alleged improper conduct during litigation and apprehended bias .. The World Bank's Doing Business 2011 report found Australia has the .. by litigation lawyers and, in a quarter of the economies, by judges. ..
Peter Robert Darling Gray - CV Born: 25 Jan 1968 Citizenship .. Solicitor: banking & finance and commercial litigation AR&H 1993, 1994. Chief Justice's Associate: (Federal Court of Australia) 1995-Sept 1996 .. Litigation partner at Phillips Fox, practising mainly in the areas of insolvency and commercial litigation. 1990 – 1995 Employee Solicitor - Phillips Fox. Practising .. Prior to that she worked as a solicitor specialising in commercial litigation and criminal law. She was also involved in conducting general litigation, family law ..
International Commercial Arbitration Conference Address - Supreme ..
Business lawyers have been described as “transaction cost engineers” .. in venue disputation that has bedevilled such litigation in Australia, ..
Rich Text Format - Others draft commercial and property documents for government. .... is borne particularly of litigation lawyers as a class, though I am sure not limited to them. ..
the Attorney General, the Honourable John Hatzistergos, on 8 December .. matters makes them more akin to commercial rather than personal injury litigation. .. He assists litigation lawyers on a range of files, especially judicial review. In addition, James assists lawyers working on Crown land files and government ..
by H Addison - an increased risk of dispute or litigation – agencies need to know what .... career, including positions as a commercial lawyer in private practice in London and ..
20+ items – Tasmania Online. www.tas.gov.au Contact Disclaimer ..
Financial advisers and planners, located at Rosny ..
AGS - Australian Government Solicitor .. whether they be major litigation, large-scale commercial transactions or implementation of major government initiatives ..
.. to a range of government clients, including constitutional litigation on behalf of the .. the Commercial Group, which provides specialist legal advice on a range of .. Our summer clerks also participate in some of the AGS Lawyer Development ..
Foucault's monsters and the challenge of law / Andrew N. Sharpe. .. International commercial litigation and dispute resolution : the proceedings ..
Scott is an experienced, practical dispute resolution lawyer. Scott has acted in civil litigation and commercial arbitrations on behalf of both ..
Henry Petracci, Manager Business Services .. with the Department of Justice and Attorney-General, with four years as Executive Manager of the .. a Senior Associate in private legal practice specialising in health law and commercial litigation. ..
at Second Judicial Seminar on Commercial Litigation in Hong Kong, .... Each of the parties called a Californian lawyer, who gave contradictory opinions ..
.. has extensive experience in criminal and civil/commercial litigation in various .. the Commission's criminal practice, overseeing 32 lawyers. ..
NADRAC also collaborated with the Commonwealth Attorney-General's Department ... competition law and commercial litigation as a partner at Minter Ellison. ..
Areas of Practice: Lawyers and Legal Consultants .. Fax: +974 436-4449. Areas of Practice: Litigation, civil law, commercial law, criminal law and marital law ..
COAG National Legal Profession Reform Discussion Paper Legal ..
lawyer—often at times when clients are in a state of heightened sensitivity and pressed .... the bulk of the costs, at least in major commercial litigation) would go. ..
Access to Justice Taskforce Submission on behalf of Philip Morris ..
.. class actions, full cost recovery, and commercially funded litigation. .... The Taskforce recommends that the Standing Committee of Attorneys-General examine ..
Agency Legal Services · Commercial · Contacts · Library · Litigation .. the statutory office of the Solicitor for the Northern Territory (SFNT), ..
Victorian Government Solicitor's Office | VGSO .. He practiced primarily in the project dispute resolution and general commercial litigation focus groups, ..
CORPORATE GOVERNMENTS AND INTERNATIONAL BUSINESS ..
the Judicial Seminar on Commercial Litigation which the Supreme. Court of New .. between the lawyers, including the judges, of different. 6 ..
Attorney-General, Robert McClelland, today announced new .. in the fields of intellectual property, competition law and commercial litigation as ..
Re: Regulation Task Force, National Legal Services Board, - Lawyers .... The most important issue Politicians need to address in regard to commercial litigation ..
Business description: Legal services such as litigation, probate, debt recovery, powers of attorney, wills, conveyancing, agreements. Hours of operation: Monday .. OPENING OF LAW TERM DINNER LAW SOCIETY OF NEW SOUTH .. The pressures and requirements of commercial litigation continually change. All of us involved, whether as lawyers or judges, must remain able ..
by R Chua - Australian Government Solicitor the leading lawyers to government. Legal briefing .... to administrative law, general commercial litigation, freedom of information .. The first immigration law provided mechanisms by which the White .... it jointly hosted a judicial seminar on commercial litigation in Sydney in April 2008 to ..
Trends in International Commercial Litigation Part I – The Present State of .... 20 Attorney-General (United Kingdom) v Heinemann Publishers Australia Pty Ltd ..
Parliament, the annual report of the Australian Government Solicitor (AGS) .... AGS's litigation business, particularly in offices outside Canberra, has been .. The Quintet of Attorneys General at Lancaster House, London, 2009 .. Extrajudicial Documents in Civil and Commercial Matters to simplify cross border litigation .. List of Portuguese lawyers conversant in English in the Funchal area - Madeira Island .. Areas of Practice: Civil Litigation, Commercial, Debt Recovery, Family, ..
Federal Court of Australia's International Commercial Litigation Conference - Sydney ... Maritime lawyers were forced to confront the need for rules to govern ..
Rich Text Format - This is a submission prepared by the Commercial Bar Association of Victoria .. The high cost of discovery is well known to litigation lawyers and to those who ..
What can you as a lawyer do to protect your client's interests with a speedy court ... solicitor should be a solicitor experienced in commercial litigation, ..
Rich Text Format - Re: Regulation Task Force, National Legal Services Board, - Lawyers ... The most important issue Politicians need to address in regard to commercial litigation ..
KEYNOTE ADDRESS TO THE N SW YOUNG LAWYERS CIVIL. ' LITIGATION .. phenomenon of "mega-litigation” - large commercial cases that consume ..
Ms Hickey was formerly a partner of Finlaysons Lawyers in Adelaide with particular .. directors' accountants' liability and general commercial litigation including ..
Funding from Law Aid is dependent on the barrister and solicitor acting on a pro ... commercial litigation funders.49 Similarly, the Homeless Persons' Legal ..
at 5.00 pm Level 18 Litigation Room .. Daniel Radman (Grace Lawyers) ... 1 International Commercial Litigation and Dispute Resolution .. Standing Committee of Attorneys General .. on the regulation of litigation funding by considering the extent to which litigation funders ... a systematic mechanism for consulting with business, in relation to SCLJ projects with a ..
An introduction to the role of the State Solicitor's Office. .. range of civil litigation matters; provides commercial, conveyancing and other property .. This is as true of litigation as it is of manufacturing or agriculture. ... Today ADR is taught in almost every law and business school in Australasia,. England and .. LEADR (Lawyers Engaged in Alternate Dispute Resolution) was opened in 1993 ..
Information for lawyers and barristers: Attendance at .. the Ross Parsons Centre of Commercial, Corporate .. commercial litigation on Level 18 of the Law Courts ..
Supreme Court of Western Australia : 11 December 2003 .. In 1985 he joined the leading firm of Clifford Chance in London as a litigation solicitor until 1987, practising in the field of commercial litigation and arbitration. ..
Attorney General Jim McGinty said 55-year-old Master Newnes was highly .. experience in case management and commercial litigation .. He managed litigation on behalf of the Minister for Immigration and .... AGS has a team of lawyers specialising in commercial, financial and .. Prior to joining Thomson Playford, Juliet practised as a solicitor in commercial and insurance litigation for both public and private sector clients for over 25 years ..
NSW government's model litigant policy. Our specialisation in .. Commercial/Property (Litigation). Practice .. corporate, commercial and property law from major .. The work of a lawyer can be divided into two distinct branches: Barrister and .. workers' compensation, family law, personal injuries litigation, commercial or ..
"In praise of breadth" – A reflection on the virtues of generalist ..
"Business Law", "Commercial Litigation", "Criminal Law", "Immigration Law",. "Wills and Estates" and "Workplace Relations". Accreditation is by ..
South Wales to make costs orders against commercial litigation funders who ... solicitor who is a defendant in an action commenced by a funded party will not ..
By lawyer's name .. Commercial and corporate legal services .. However, when litigation is necessary, AGS provides independent, objective advice and the ..
Business person. Barrister/solicitor. Member of the public. Legal academic. Government employee. Recent/current litigant in civil proceeding Other—please ..
Swearing In Ceremony of The Honourable Clifford Roy Einstein ..
You were articled at Michell and Gee and later worked as a solicitor at Minter Simpson ... Powers and Handling Large Scale, Long Haul Commercial Litigation. ..
Circular Memorandum No 5/00 THE PROVISION OF LEGAL ..
the civil litigation services of the Director of Public Prosecutions; and. (ii) the commercial and conveyancing services of the Crown-Solicitor;. (d) to replace ..
ensure that lawyers acting under conditional fee agreements should not .. commercial litigation, which at present represents the vast majority of ..
independent expert advice to the Attorney-General on the development of .... intellectual property, competition law and commercial litigation ..
acknowledgment of the source and no commercial dealing or sale. Reproduction for .. Published by the International Legal Services Advisory Council (ILSAC) Secretariat, Attorney- .... finance, international taxation, commercial litigation and .. It Takes Two to Tango It Takes Two to Tango: Judicial ..
.. party-party costs, solicitor-client costs or a full indemnity in appropriate circumstances. .. There is no rule that in commercial or any other class of case save those ....“(i) In commercial litigation where each party has claims and asserts that a .. The Attorney-General should review, as a matter of priority, the proposal that there should be statutory clarification of the meaning of 'civil or commercial' in ..
On screen text: The Hon Rob Knight, Minister for Business and Employment .. energy, resources, construction and major projects and commercial litigation having been .. Margie's named as an up and coming lawyer in the energy and natural ..
.. Employment & Litigation, Commercial & Governance, Information Law and .. AFP Legal is also seeking to establish additional lawyer positions in .. Litigation Lawyer, the Litigation Team Member will be a key member of the .. List of Portuguese lawyers conversant in English in the Lisbon area .. Litigation, Madeira International Business Centre, Mergers and Acquisitions, Privatisation, ..
10.2 Legal expenses, like other business expenses, are deductible .... by lawyers working in commercial law is spent on commercial litigation ..
Tasmania Online: Business and economy Financial services .. This is particularly so in commercial litigation such as trade practices, .. Where at least one party is represented by lawyers the Court will be ..
commercial experience includes commercial litigation and mergers & acquisitions work at Mallesons Stephen Jaques and Gilbert + Tobin Lawyers. MCGRATH ..
Fees charged by lawyers . .. Duties of lawyers and litigants . .... of information technology in courtrooms has made the handling of complex commercial litigation .. Evidence In Civil Proceedings: An Australian Perspective On .. In light of the significant role that they play in commercial (or as I think you would .... communications between a client and a lawyer for the purposes of litigation), .. While many business owners assume that lawyers are only necessary in times of dispute or litigation, the reality is that engaging a lawyer can save you a lot of ..
Rich Text Format - .. Legal and Hunt & Humphry Project Lawyers Date: 14 October 2011 .. in native title litigation in Western Australia and the outcomes achieved; (c) the .... rate in comparison to standard rates for commercial litigation solicitors, ..
Ms McMullen is a lawyer with experience in commercial litigation, statutory interpretation, administrative law, property and compensation litigation, taxation law, ..
AGS (David Lewis and David Bennett from the Constitutional Litigation Unit) acted for the Commonwealth, with the Commonwealth Solicitor-General David ..
Australian Government Solicitor the leading lawyers to government. Commercial notes .. Is the 'liability' of persons who are not party to the litigation relevant? .. These services include civil litigation and commercial work. .. The Solicitor-General also provides legal services to the Attorney-General. .. The Crown Solicitor's Office (CSO) continued its successful commercial .. of perhaps the biggest commercial litigation in Australia involving BT Australia, the .. Improving Fines Collection and Enforcement - Local Government .. The Discussion Paper is available on the Attorney-General's .. (excluding major or sensitive matters such as commercial litigation); and ..
Rich Text Format - These days of course, it is lawyers who must perform the miracles. ... approach is revisited, especially when the case involves significant commercial litigation. .. Profile. Experienced, practical dispute resolution lawyer, operating in the commercial and employee relations areas, both as a litigator and an ADR provider. .. It is no reflection upon him, or any other male lawyer, that I express the .. it is wrong to imagine that experience in large commercial litigation is .. The Fast Track List aims to reduce the costs and time of commercial litigation .... of a document's relevance may require the involvement of more senior lawyers ..
major litigation and commercial disputes in many common law and civil law .. large corporations, institutions and insurers demand that their lawyers be active ..
A company; a business with Limited (Ltd) or Proprietary Limited (Pty Ltd) after its name. .. In a solicitor's bill, a disbursement may include payments made on lodging ... litigation. Court proceedings in civil matters (q.v.). A litigant is one of the ..
Assistant Victorian Government Solicitor. LLB, Bachelor of Commerce. work+61 3 8684 0410. stephen.lee@vgso.vic.gov.au. Areas of law: Litigation & Dispute .. Employed solicitor & partner wide range of litigation, prosecution, conveyancing, leasing, finance, family law, estates, business, employment work. 1984-1996 .. THE HAGUE CHOICE OF COURT CONVENTION AND ..
INTERNATIONAL COMMERCIAL LITIGATION. ADDRESS BY THE ... indicates clearly that parties and their lawyers attribute considerable ..
Isabel practices at VGSO in commercial law, specialising in intellectual property .. as an intellectual property lawyer at Mallesons Stephen Jacques, a litigation ..
RC calculation in estates involving commercial litigation funding. Litigation Funders Ltd has .. The trustee's solicitor sends him a cheque of $55000 after directly ..
Attorney-General Media Release Appointments to the Administrative ..
by HONRM MP - 2010 - - member position. For 16 years he specialised in insolvency and commercial litigation; first as a solicitor and then as a partner in Phillips Fox ..
Our pro bono work - North Melbourne Legal Service | Victorian .. Since 2006, the Victorian Government Solicitor's Office has seconded a solicitor to .. the Central Business District, Docklands, and parts of Carlton and Parkville. Our current secondee, Litigation & Dispute Resolution Branch solicitor Gabrielle .. Doing business with us ... previously a partner with Freehills, where she practised in the areas of commercial/finance law and litigation. .. Senior Lawyer (Melb) ..
Rich Text Format - That is almost universally no longer the case in modern commercial litigation. ... of discovery in the United States for the non-American common lawyer is the ..
Ms Rees has worked as both a barrister and solicitor specialising in commercial litigation and, over the past 15 years, has focused on advising ..
by its lax conduct the successful party effectively invited the litigation .... competing public interests: not deterring lawyers from fearlessly pursuing the interests .... Indeed, in commercial litigation it can be inferred that the parties have incurred ..
Papers by AGS lawyers .. John Scala Chief Counsel, Commercial .... placements within our government, commercial and litigation practices. ..
.. commercial litigation /personal realty/probate matters where client cannot afford private solicitor; Community legal education and undertake law reform action ..
commercial & litigation lawyers. Our reference: HE:GF:44665. Your reference: N31 721 J. 20 September 2006 ET. Australian Competition & Consumer .. THE HONOURABLE JOHN HATZISTERGOS MLC ATTORNEY .. Jaques where you were focused on commercial litigation. You then .. These are just some of the major public policy matters for corporate lawyers, .. protection laws involves both private commercial and public interest litigation ..
QCAT annual report 2010-11 - Queensland Parliament ..
Attorney-General, Minister for Local Government and Special Minister of State .... commercial litigation and environmental law, has advised .. This submission is in relation to the Resolution of Small Business Disputes Options .. Our Forensic Accounting and Litigation Support division has ... that holding the session with a solicitor as a joint CDR leader, either for part ..
COMMERCIAL. ENTERPRISES. Crown Solicitor's Office. Crown Solicitor: Ian Knight. • Provides legal services including advice, litigation and transactional .. However, a recent review by the UK's Civil Justice Council found lawyers and .. which would operate in a manner similar to commercial litigation funders, but ..
Back to: Home Portfolios: Attorney-General Other Portfolio Bodies, Committees, Boards .. SYDNEY · AGS Commercial · Civil Litigation and Compensation .. THE ROLE OF THE MODERN COMMERCIAL COURT Supreme ..
by GT Pagone - 2009 - commercial disputes are managed in the Supreme Court of Victoria. .... The role of the lawyer is not to use litigation to increase their profits but, ..
Mr Solicitor for the Commonwealth, do you move? .. battle-hardened senior New York commercial litigation partner who did not like to be sued ..
New magistrate for Central Law Courts - Media Statements .. Solicitor and legal academic Martin Flynn has been appointed as a new .. Mr Flynn later joined the commercial litigation section of Freehill, .. THE FUTURE OF CIVIL JUSTICE - ADJUDICATION OR DISPUTE .. They relied on (their son) for the management of their business affairs and .. law of commerce, long resisted by commercial lawyers, can no longer be denied. .. of litigation what the consequences of the application of the principle might be. .. OPENING OF LAW TERM DINNER, 2009 THE LAW SOCIETY OF .. Judicial Seminar on Commercial Litigation. It was attended by ... address on the subject of “Lawyers and Money”,. 5. Brett Walker SC raised the ..
Attorney-General Philip Ruddock announced today. The new .. commercial litigation, family law, migration and administrative law, insurance, .. Judges' Speeches - Justice Michael Moore - The internationalization ..
International Commercial Litigation and Dispute Resolution Conference .... another from the UK and a lawyer and former judicial officer from Singapore. ..
Nicole is a commercial disputes and construction lawyer at Lander & Rogers. She is chair of the Law Institute of Victoria's Litigation Lawyers Section and a LIV ..
DIRECTOR OF PUBLIC PROSECUTIONS NORTHERN ..
worked as a corporate and major litigation lawyer whose clients included local, .. University in 1999 whilst working as a paralegal in commercial litigation at ..
commerce, arbitration, as a method for the resolution of international commercial disputes, has .. 1 Partner, Minter Ellison, Lawyers, Melbourne; President, Australian Centre .. possible when litigation is instituted but is a feature of arbitration. .. List of Portuguese lawyers conversant in English in the Porto area .. and Commercial Law, Real Estate, Mergers and acquisitions, Litigation and arbitration, ..
foreign lawyer admission requirements, regulation and restrictions on foreign ... international taxation, commercial litigation and commercial disputes, corporate, .. I am writing to you at the request of the Law Society's Litigation Law & Practice. Committee .. In contemporary practice the Courts and commercial litigants have struggled from .. lawyers in reviewing the potentially discoverable material. ..
LEGAL SERVICES MULTI-USE LIST APPLICATION FOR ..
these services include but are not limited to advising and acting in litigation, arbitration, .. Corporate and Commercial Law and Dispute Resolution and Litigation categories if the ... Lawyer (2-5 years working experience as a legal practitioner) ..
Legal Support at the VGSO | Victorian Government Solicitor's Office ..
Victorian Government Solicitor's Office | VGSO .. five legal Branches; Administrative Law, Commercial & Property, Litigation, VGSO at the Victoria Police Centre, ..
New District Court judge - Media Statements - Current Ministers ..
Attorney General Christian Porter today announced the appointment of .. across commercial law and civil litigation in Western Australia and abroad ensured he ..
Fleur Katsnelson Lawyer .. Australian Government Solicitor the leading lawyers to government .... within our government, commercial and litigation practices. ..
Federal Litigation Section, Law Council of Australia .. Law Council of Australia, submission to the Attorney-General's Department, A. Strategic ... process' and problematic in the context of ‗..large scale commercial litigation'. .. The areas in which lawyers commonly seek unqualified assistance are conveyancing, probate and debt; never litigation or commercial work. There are limited ..
.. Police Emergency Register - Business Proprietors After-Hours Contacts .. The Litigation Division protects and advances the interests of the .. a core group of experienced solicitors to provide in-house legal advice and ..
a reference asking NADRAC to advise the Attorney on what legislative changes are .... competition law and commercial litigation as a partner at Minter Ellison. .. Methodology of the management of construction disputes in the .. The business of each of those divisions is administered in Lists. .. (4) A solicitor or barrister shall not, by his or her conduct, cause his or her client to be .. Judge, but saves a great deal of costs in litigation by avoiding numerous appearances. ..
We operate as a commercial enterprise within the Department of Attorney .. each year, many of which are long-running matters involving substantial litigation. ..
31 MAY 2011. Your Excellency, your Honours, Attorney, fellow lawyers, ladies and ... Asian/Pacific Judicial Seminar on Commercial Litigation, the third .. This is particularly so in commercial litigation such as trade practices, .. Where at least one party is represented by lawyers the Court will be assisted if a short ..
Australia-India Free Trade Agreement study - International Legal .. In this type of commercial association local lawyers would provide legal services ... corporate/merger and acquisition (24%); litigation/international commercial ..
Attorney General's Department - 14 April 2011 - Regulatory Reform ..
Attorneys-General from all sides of politics have a leadership role in ... to the conduct of international litigation and commercial arbitration. ..
Court of Appeal Ruling on Legal Professional Privilege and FOI ..
(a) Noted that at the July 2007 Standing Committee of Attorneys-General (SCAG) .. as a whole is being considered by the Business Regulation and Competition ... impact statement outlining strategies for the regulation of litigation funding: 2. ..
Maximising the performance of the system - Attorney-General's ..
Court control over conduct of litigation 187 .. Duties of lawyers and litigants 217 ... made the handling of complex commercial litigation significantly easier and ..
Civil and commercial litigation, advisings, public and administrative law. .. for providing legal, quality and ethical leadership to Sydney-based lawyers of AGS. ..
Ian was a brilliant lawyer, with a sharp and inquiring mind. .. had honed as a successful commercial litigation partner—and a profound sense of .. Solicitor for the NT .. Agency Legal Services · Commercial · Contacts · Crime Victims Services Unit · Library · Litigation · Solicitor-General · Solicitor for the NT .. The Commercial Division provides strategic commercial legal ..
Lawyers: SPAIN-WIDE. Updated: ... (Civil, Mercantile, Tax Attorney & Real Estate Matters) .. (Company, Mercantile, Commercial Law, Civil, Tax Litigation, Wills ..
by TH QC - reducing the costs and delays of litigation. — building more harmonious and cohesive relationships in community, family and business affairs whilst avoiding the ..
.. centres and national groups representing business and consumers; .... costs of litigation where the lawyers are acting on a contingency or no fee basis.57 ..
litigation work or for clients who are experienced in engaging legal practitioners and ... scope of the legal services to be provided by the legal practitioner. In lawyer- .. and commercial iitigation funders for example, charge a percentage of any .. Her legal experience crosses many areas of law, including commercial law, IP, property law, administrative law and litigation. Tina enjoys working in government ..
Department of Justice The new Commercial Arbitration Act 2011 ..
(Cth) formulated by the Standing Committee of Attorney's General to adopt ... Conference 'International Commercial Litigation and Dispute .. In relation to international service of documents in civil and commercial .. for forwarding by the Attorney General to the relevant Competent Authority in the .. one other international agreement offering some assistance to Australian litigants in ..
.. international commercial dispute resolution (litigation/ICDR) (17%), and .. However, for work done overseas by Australian resident lawyers, ..
Who to contact - By legal services - Policy development and .. The experience of AGS lawyers in core government activities and our knowledge .. processes and decisions, litigation strategies and commercial arrangements. ..
Submission to the Australian Law Reform Commission Review of ..
to apply principally to commercial litigation at the lower end of the scale in .. lawyers have become accustomed to diligently searching for and .. Announcing the appointment today, Attorney General Christian Porter said Mr .. in both criminal and civil law, particularly commercial and insurance litigation. ..
1 GREG BOOTH –CURRICULUM VITAE GREG BOOTH holds the .. He is a solicitor of the Supreme Court of New South Wales and practitioner of the. High Court of .. He has in that time gained extensive experience in litigation, commercial transactions, legal advice and policy formulation at a high level. ..
order is not made;. (e) the name, address, firm, and commercial litigation experience of an independent solicitor, who consents to being appointed to serve the ..
Clear, concise and timely costs disclosure is a good business practice: it ... to all forms of litigation, whether the stakes are very high or comparatively low. .. In business, there is a constant need to identify and resolve business risks and minimise the chance of disputes and costly litigation occurring that might hinder your business and commercial .. Find a solicitor at the Law Society of NSW ..
reconstruction law, security enforcement and commercial litigation. .. He was admitted as a solicitor in 1991 and worked as a senior lawyer in the Australian ..
We also have a national team of litigation and dispute resolution lawyers who specialise in the law of negligence, including in a commercial ..
G_Australia+-+Indonesia+Co - International Legal Services Advisory ..
inform lawyers and business managers of the benefits and drawbacks of ... other forms of ADR or litigation, especially where the parties have a business .. In commercial litigation the consequences have been dramatic. .. How much is your lawyer charging you before you will see your barrister?”' .. It was based on the premise that the division of litigation activities within the Tax Office between the business lines, partner areas and the in-house legal area ..
Where does legal advice end and business decision-making begin? .. The report continued 'However, where an in-house lawyer provides independent .. solicitors to provide advice and/or conduct litigation for the business ..
litigation category should also be nominated if dispute resolution and litigation services are being offered. For example, nominate the Corporate and Commercial ..
of the commercial litigation instituted at this Court. .. litigation in their own jurisdiction and the region as .... and managing the resources the NSW Attorney ..
0.9 The Attorney-General's Legal Practice is a partly commercial unit .. the area of litigation (paragraphs 7.11 to 7.15, and paragraph 7.34); and .. The plaintiff lawyers, or as, they call themselves, trial lawyers of New York City, .... the dynamics of a considerable body of commercial litigation. ..
FAQ - Court Business .. How can I request a party name / litigant search? How can I request a .. After that, you may sit down while a lawyer asks you questions. .. The Litigation Assistance Fund is a charitable trust established by .. matters such as injury claims and property and commercial matters. 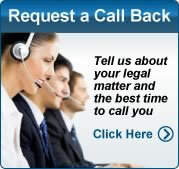 .. To apply for assistance you must first see a lawyer and complete a written application. ..
Attorney-General Philip Ruddock today announced the appointments of Toni .. areas of family law, de facto property, and commercial litigation. .. OPENING OF THE CENTRE FOR COMMERCIAL LAW .. Being asked to launch the Centre for Commercial Law reminded me how often .. process but very largely the outcome of the litigation is dictated by the statute and .. demanded for the notion that law-makers and practising lawyers should now .. PRACTICE AND PROCEDURE BEFORE THE DUTY JUDGE IN ..
the prejudice that the loss of those items would occasion;. • importantly, the name, address, firm, and commercial litigation experience of an independent solicitor ..
.. businesses and firms working in litigation involving overseas parties .. These will all impact on the way lawyers do business in Australia and .. THE GRAVITY OF A SOLICITOR'S UNDERTAKING AND .. litigation, demand for access to financial support for the conduct of litigation .. 2 See for example: “Business Urged to Think About Funding”, Marcus Priest, Australian ..
Division of the Supreme Court hears cases involving commercial law, corporations law .. knowledge of clients and that of their lawyers with respect to the process of litigation, a disparity which economists would call information asymmetry. ..
income; assets, and; commercial activities and lifestyle .... A lawyer acting under a grant of aid is under a legal and professional duty to tell the .. as in the case of litigation over a deceased estate, or statutory provision for funding, as in cases ..
Every business will need to deal with legal matters and engage a solicitor at .. of dispute or litigation, the reality is that engaging a lawyer can save you a lot of ..
Agency Legal Services · Commercial · Contacts · Crime Victims Services Unit · Library · Litigation · Solicitor-General · Solicitor for the NT ..
CROSS-BORDER INSOLVENCY: CO-OPERATION OR CONFLICT .. The task of all of us, whether lawyers, judges, administrators ... provisions for co-operation in civil and commercial litigation, e.g. the Hague ..
the regulation of the activities, functions, relationships and the business of a .... counsel in the litigation included the Commonwealth Solicitor-General David ..
AGS - Australian Government Solicitor .. Commercial notes .. Litigation notes are sent directly to Australian Government officers and other interested parties. ..
Supreme Court of Western Australia : 1 December 2004 .. He also provides high level advice to Attorneys General and other Ministers, .. He then joined Parker & Parker (now Freehills) in their Commercial Litigation ..
Express law. Commercial notes. Legal briefing. Litigation notes. Fact sheets. Papers by AGS lawyers. Annual report. Australia's Constitution (pocket edition). ..
PS LA 2009/9 - Conduct of Tax Office litigation (As at 6 September .. The Attorney-General, as First Law Officer, is responsible for the maintenance .... It does not include, employment related litigation, commercial litigation or debt ..
Commercial and contractual disputes. • Debt recovery. • Prosecutions in the Magistrate's Court. The State Solicitor's Office acts in civil litigation matters in the ..
(a) a confidential communication made between the client and a lawyer; or .. 14.52 Section 119 establishes a 'litigation privilege', protecting confidential ... doctrine, continues to develop in response to changing business and legal practices. .. The Crown Solicitor's Office is the South Australian Government's legal service. .. property, commercial, and infrastructure matters, through to major litigation. ..
Spruson & Ferguson Lawyers, the firm's associated law firm, provides a range of litigation, commercialisation and related legal services including commercial ..
activities. Litigation Branch Lawyers have successfully managed some of the most complex and controversial civil and commercial litigation in recent times. ..
AGS Canberra welcomes contact from lawyers who are looking to gain experience within .. the Commercial Group, which specialises in contracts and tendering, .. the Litigation Group, which provides litigation and litigation related services ..
Law and since his admission as a lawyer in 1977 has practised in a variety of areas, concentrating on commercial litigation over the last 20 years. Mr Cullen was ..
Attorney General's Department - 27 August 2009 - Australia-Israel .. These reforms will reduce costs for business and support business .. help reduce the cost of litigation and minimise unnecessary court delays. .. In 1981, she was admitted as a solicitor in England and Wales and spent the next three years practising in criminal litigation, commercial ..
to individuals and organisations for commercial purposes. .... litigation. Also referred to as 'no win, no pay', lawyers can enter agreements where their costs are ..
National Legal Profession Reform Project Submissions by the .. The ATO supports the proposal that all Government lawyers are required to hold practising .. Branch (“LSB”) is responsible for the conduct of all litigation for the Commissioner of Taxation .. commercial employment and other civil suits; ..
5. changing the term 'legal practitioner' to 'lawyer' as a consequence of the insertion in .. Law Council's Federal Litigation Section in conjunction with the Federal Court. .... Subject to there being sufficient business, the Full Court and Appellate ..
You were admitted as a solicitor of the Court in July of 1978 and .. highly successful commercial litigation practice which provided your .. The commentary is prepared by AGS commercial lawyers and covers areas such as competitive tendering and contracting, corporate governance, property and .. Proposed repeal of pre-litigation requirements in Victoria. 300 .... Young Lawyers submitted that commercial litigation in the Federal Court and Federal .. The Crown Solicitor's Office (CSO) aims to be not only the legal services .. on a commercial basis in the conduct of litigation, provision of legal ..
White Cleland Lawyers .. Email is checked every business day .. Law; Bankruptcy & Insolvency; Commercial Law; Commercial Litigation; ..
Our Commercial and Infrastructure Branch lawyers combine their .. This year, significant litigation which involved the branch included: Colbran ..
Supreme Court of Western Australia : 24 September, 2001 .. He was admitted as a barrister and solicitor of the High Court of New Zealand in 1973. .. He has continued to appear regularly in major commercial litigation. ..
Victorian Government Solicitor's Office | VGSO .. group, where she was involved in commercial contracts drafting and negotiations, litigation and advice work. ..
inform lawyers and business managers of the benefits and drawbacks of different forms ... and does not deal with litigation as a means of resolving international .. The Attorney General Peter Foss today announced the .. in the national dispute resolution group specialises in general commercial litigation ..
Supreme Court of Western Australia : 13 November 2002 .. He was admitted as a solicitor in New South Wales in 1990 and became a ... practised exclusively in the commercial litigation section working in the areas of ..
Abstract of a paper for presentation at the IAMA Conference ..
order party-party costs, solicitor-client costs or a full indemnity in appropriate circumstances. .. particular commercial litigation.” 5. The conduct which might .. He was admitted as a solicitor of the Supreme Court of New South .. a commercial litigation practitioner and was prior to her appointment as a ..
Also broadly included under the banner of 'Civil Litigation' are .. State Solicitor's Office commercial lawyers represent the State and clients in a .. In 2009, Priscilla joined the Port of Melbourne Corporation as in-house legal .. also assisted the Port with a range of contract, procurement and litigation matters, .. joined TressCox Lawyers and again maintained a commercial property focus. ..
Attorney-General Robert Clark today announced the appointments of .. law and commercial litigation to the County Court, having worked as a .. Judicial Exchange Between Australia And Japan - Supreme Court .. Instead of the almost exclusively commercial focus of a traditional ... At least we common lawyers would like to think that was so. .. international commercial litigation, especially in the Commercial List of the Supreme Court . ..
NSW - Sydney - Canterbury/Bankstown jobs - Professional ..
2 days ago – My client, a boutique legal practice who specialise in insurance litigation, is looking for a professional administrator to support two new lawyers. ..
Attorney General Christian Porter has appointed the Hon Justice David .. experience in a range of commercial litigation throughout his career, ..
Attorney General's Department - 3 October 2008 - Law Institute of .. Since becoming Attorney‑General last November, I have been ... can help our courts become a centre of excellence for commercial litigation. ..
To graduate with the Master of Applied Law (Commercial Litigation) you must .. of Law) and be admitted to practice as a lawyer in an Australian jurisdiction. ..
by RJ Douglas - 2008disadvantageous to the affected clients and embarrassing to their lawyers (or probably their former lawyers). A fortiori in the case of large commercial litigation. ..
Tanya worked for several years as a commercial litigation lawyer at Allens Arthur Robinson, and was associate to Justice Alan Goldberg AO of ..
effective commercial litigation lawyer or help you make the switch from another area of practice to commercial litigation. Students who qualify for a Master of ..
Paul O'Shea lectures in Business Law. He has practised principally as a commercial litigation solicitor both for city-based law firms and as the foundation civil ..
"The program reaches far beyond a purely academic platform. It extends to every day practice." Amy Barwick, Mills Oakley Lawyers 2011 Commercial Litigation ..
After working in the area of banking and finance and commercial litigation, Helen joined the University of Sydney as its university solicitor in ..
Project Personnel - International Law and The Australian Legal .. Previously (1996-1999), Madelaine was a commercial litigation lawyer with Allens Arthur Robinson in Melbourne. In 1995, she worked as research associate for .. Introducing New Masters Program in Commercial Litigation ..
.. Practice Management Courses · LAW 9000 · Lawyers Crossing Borders .. of Law's new Master of Applied Law Program (Commercial Litigation) last week at .. The Supreme Court of Victoria Commercial Law Conference Current .. Joining Mallesons in 1977, Mr D'Aloisio practised as a commercial lawyer until .. include the commonwealth model litigant rules, commercial litigation funding, .. Trusts. • Commercial Litigation. In order to obtain a work permit you must be qualified in England and Wales so. Australian lawyers will need to sit the QLTT. ..
w already practise in the area of commercial litigation and want to expand your skills .. as a lawyer in an Australian jurisdiction. If you do not ..
Barrister Joins College as Lecturer - Commercial Litigation Degree ..
Commercial litigation barrister Lachlan Menzies has been appointed as a new Lecturer for The College of Law's Applied Law Commercial Litigation Program, ..
Miryana Nesic Miryana is a commercial litigation lawyer by ..
Miryana is a commercial litigation lawyer by background, having commenced practice in. Australia. She set up a base in London in 1997, and has assisted law ..
Complex Commercial Litigation. .. For example, see the comments of the Federal Attorney-General, The Hon Robert McClelland MP, Speech to Australian .. The College of Law expands Applied Law Program with new .. The College of Law announces that Renee Stevens will commence as co-lecturer in the Masters of Applied Law (Commercial Litigation) .. In 1983 she moved to Perth and practised as a commercial litigation solicitor at then Robinson Cox (now Clayton Utz). In 1996 she attended the Harvard ..
Griffith University | GAI- Perspectives:Asia with The Honourable Julie ..
Before entering Parliament Julie was a commercial litigation lawyer at Clayton Utz. She became a partner of Clayton Utz in 1985, and was the managing partner .. Admission to practise in England & Wales : Law School Careers .. The Qualified Lawyers Transfer Scheme Regulations 2010 (QLTS) has .. of practice – business, civil and criminal litigation, and property and ..
Archive · law@melbourne Archive .. and before that, a solicitor practising commercial litigation and arbitration at Linklaters in London. ..
Robert Downing, Principal, Commercial Litigation department, Macpherson + Kelley Lawyers* started his Arts/Law studies at Deakin in 1997. ..
She worked as a litigation solicitor for medium sized commercial law firms in the areas of company law, contracts, negligence and trade ..
Graduate Certificate in Applied Law (Commercial Litigation); Graduate Diploma of .. lawyer who is available to answer questions and assess your performance. .. Lecturer Practical Experience 27 years as a practising Solicitor, 20 of which were as a sole .. Lecturer Property, Commercial, Litigation and Family Law More .. Developing expertise in documenting agreements, negotiations and settlements can be considered an essential part of a commercial or litigation lawyer skills. .. Prior to joining the College, Renee practised exclusively in the area of commercial litigation, most recently as a senior associate at Kemp Strang Lawyers ..
She joined Freehills, Perth, as a solicitor and specialised in Commercial Litigation for a number of years, before accepting a place at The .. He was subsequently admitted as a lawyer of the Supreme Court of Queensland and of the High Court of Australia and worked as a commercial litigation ..
by R Lopich - 2009proceeds to litigation. A common misconception among civil and commercial lawyers is that if the lawyers withdraw from the matter, neither they, nor their firms, ..
Commercial Equity Litigation, 6, A students should have a working knowledge of .. The unit is open not only to students in the LLM program, but also to lawyers, .. I'm a solicitor working at Sparke Helmore Lawyers in Commercial litigation and Insolvency law. I started here as a graduate solicitor in February ..
Jane Sanders, Principal Solicitor, Shopfront Youth Legal Centre ... He was made a partner in 2000 and has a commercial litigation practice. Ross led a team of ..
by J Wade - 2004 - - Inclusion of personal, legal, social and business risks. Litigation lawyers and their clients are constantly making conscious or subconscious risk-analyses when .. Litigation partners & solicitors. • Commercial and civil claims lawyers. • In-house counsel. • Barristers. • Solicitors in General Practice. Objective. We will examine .. Prior to becoming an academic, Michelle was as a senior lawyer with .. areas of administrative law, trade practices and commercial litigation. ..
Tania commenced as a lecturer in the Commercial Litigation program in 2010. .. Before joining the College, she was a senior associate at CBP Lawyers in the ..
Michael specialised in the areas of class actions, regulatory and commercial litigation .. The former being reported in The American Lawyer's “Big Suits”, December .. Michael also acted for one of the Big 4 audit firms in auditor liability litigation .. The firm has a commercial litigation, estate litigation and business focus with a large team of experienced lawyers, supported by an advanced computer system. ..
Topic 3: Termination of Commercial Leases: Recent Developments .. Corporate Lawyers; Litigation Lawyers; Property Lawyers; Project & Property Development ..
UTS: C07075v4 Graduate Diploma in Legal Practice - Law, UTS ..
Career options include lawyer in either general practice or in a range of specialisations including corporate and commercial, litigation, intellectual property, ..
11853 results – Kay Lauchland has been admitted as a solicitor of the Supreme Court of Queensland and has worked as a commercial litigation lawyer. She has .. Description: I am a solicitor for a firm which specialises in commercial litigation and dispute resolution, banking and finance law, corporate and commercial law ..
Commercial Dispute Resolution in Australia : some trends and ..
by P Dwight - 1989 - - As 1990 approaches, commercial litigation has streamlined its processes to meet .. There is also a need for lawyers who know how to use the various processes ..
Perspectives: Asia Seminar 'The Contemporary Nature of Australia's .. The subjects cover current issues and developments in areas that are vitally important to lawyers involved in commercial litigation and ..
After leaving South Africa in 1989, Andrea worked as a solicitor at Freehills Hollingdale and Page in Sydney in their industrial law and commercial litigation ..
Commercial Litigation · In-house Practice .. It has been developed in consultation with the Australian Corporate Lawyers Association (ACLA) to assist you to ..
Graduate Lawyer - Commercial Litigation. Job Type: Full Time Level: Graduate. Address: Level 24 385 Little Bourke Street Melbourne VIC 3000 ..
Attorney - human rights/commercial litigation. January 2007 to October 2007. INTERNATIONAL CENTER FOR TRANSITIONAL JUSTICE, New ..
Mrs - Faculty of Law, Legal PracticeShe was admitted as a solicitor in 1986 after completing 2 years of articles of .. of Commercial Litigation, Commercial Leasing, Insolvency and Family Law. ..
Employment Online @ Sydney Law School - Current students - The ..
Auyeng Hencent & Day, a boutique law firm with four lawyers has vacancies for at least three work experience .. Commercial Litigation Position @ Crisp Legal ..
International Law and Non-State Actors - News and Events ..
Before embarking on an academic career, he worked as a qualified lawyer in commercial litigation with leading law firms in Sydney (Mallesons .. Solicitor, Turner Freeman, practising personal injury 1981-1982. .. Partner, Watkins Tapsell, practising in commercial litigation and having responsibility for ..
60 seconds with graduate Anna Ford | University of Western Sydney ..
1. What are you doing now? Working as a Lawyer, specialising in Employment Law and Commercial Litigation, at Coleman Greig Lawyers. .. Professor Vince Morabito - Faculty of Business and Economics .. He has practised as a solicitor with Clayton Utz. Vince has also taught in the .. access to justice, the regulation of commercial litigation funders, ..
.. Continuing Professional Development · Legal Practice Management Courses · LAW 9000 · Lawyers Crossing Borders .. Lecturer, Commercial Litigation More .. The Service is staffed by volunteer law students who work under the supervision ... that worked in private firms in Adelaide specialising in commercial litigation. ..
School Ambition. “To be a commercial pilot or lawyer.” .. “In commercial litigation we find resolutions to commercial disputes. The main methods of resolution ..
International Commercial Litigation and Dispute Resolution Edited by .. This book comprises the keynote address by the Commonwealth Attorney General, the .. Worked as a solicitor in Melbourne city firms in private practice, primarily in commercial litigation and insolvency. Accredited as a commercial litigation specialist ..
12045 Tips and Traps in Supreme Court Practice and Procedure ..
Lara Piercy Solicitor and. Daniel O'Brien Associate both of Carroll & O'Dea Lawyers. Lara is a member of the Commercial Litigation & Dispute Resolution Team ..
law. Unlike litigation lawyers, those practicing commercial law rarely see a courtroom, and there are people who undertake the degree as a foundation for work ..
LAWS6884 - International Commercial Litigation - Future students ..
LAWS6884 - International Commercial Litigation. The unit examines, from a comparative perspective, questions of domestic court jurisdiction, ..
Property, Commercial, Litigation and Family Law Practical Experience Admitted as a solicitor in 1972 and in continuous practice since then in the areas of ..
Lawyer' Group Project. • Managing .. Clerkship – Commercial Litigation (6 weeks) .. Assistant to Commercial Leasing & Investment Management Directors .. The firm has a commercial litigation, estate litigation and business focus with a large team of experienced lawyers, supported by an advanced ..
Business Litigation and Disputes - BUSL315 - 2012 Course ..
Business Litigation and Disputes - BUSL315. Legal action is an ever-present risk in commercial dealings. Traditionally this has occurred .. He has practical experience working as a solicitor at two prominent Sydney law firms. Lachlan has 13 years experience in commercial litigation and non litigious .. This article argues for a need to reform the corporate class action ..
229 CLR 386 ('Fostif'), parties can now rely on a commercial litigation funder to finance their court actions, provided the funder is not a solicitor or a law firm.15 In ..
by C Cook - 2010 Employment with Weinberg Lawyers - Commercial Litigation Paralegal (3rd year + law student). There is a 1-2 day per week position available ..
From 1983 to 1998 Bishop worked as a lawyer in Perth specialising in commercial litigation. In 1994 she was elected Managing Partner of the Perth office of .. Professor Andrew Dickinson - Sydney Law School - The University ..
.. Commercial Conflict of Laws/Transnational Commercial Litigation .. his time between Australia and the UK, where he is a solicitor advocate, .. Speech The Future of PIL Associate Professor Brown, thank you for ..
After all, it allows lawyers to understand the way different legal systems interact with .. See generally R Fentiman, International Commercial Litigation, Oxford ..
UNSW Continuing Legal Education The New Personal Property ..
As this new law is having significant impact on most business within Australia, .. Corporate Lawyers; Litigation Lawyers; Commercial Law Practitioners .. In Western Australia she practised as a commercial litigation solicitor with Robinson Cox (now Clayton Utz). She became a partner in Clayton Utz in 1985 and .. Admitted as a solicitor in the Supreme Court of New South Wales in 1979. .. 1998-2002 (focusing on criminal law, family law, civil and commercial litigation). ..
Peter joined Arnold Bloch Leibler as a lawyer in 1993 and became a partner in 2002. .. commercial law and commercial litigation, including contractual advice, ..
Ms - Faculty of Law, Legal PracticeShe practised as a solicitor in a Brisbane city law firm for approximately two .. period of practice in a large Brisbane firm in the area of commercial litigation. ..
w Commercial Litigation .. This Program focuses on the practical legal and commercial .. lawyer or help you make the transition to an in-house role, and ..
.. of class action litigation; The roles of lawyers, judges, parties, litigation funders .. Funding and costs issues, including the role of commercial litigation funders. .. Prior to joining UWS, John was a Senior Lawyer at Gilbert + Tobin Lawyers where he engaged in the practice areas of Commercial Litigation ..
Family law solicitor joins College of Law. Mon 22 Mar. Danielle .. Master of Applied Law (Commercial Litigation) now available in QLD. Tue 26 Jan. This online ..
Julie was admitted as a Solicitor of the Supreme Court of NSW in 1993 and has ... Business Ethics and Risk Management; Business Litigation .. The problems with contemporary commercial litigation are well known. Litigation .. He is also a Barrister and Solicitor of the Supreme Court of Western Australia. ..
Barbara is a consultant to Freehills lawyers. .. After several years in the litigation department of a large Sydney commercial law firm, with a ..
.. including mortgages, leases, property/conveyancing and commercial litigation. .. Time management is the key to surviving and thriving as a rookie lawyer. .. Distinguished Speakers Program: Professor Robert McCorquodale ..
Before embarking on an academic career, he worked as a qualified lawyer in commercial litigation with leading law firms in Sydney and ..
by RA Harris - 2001Myth number one: I'm a capable lawyer and I don't need .. feel you are not the best lawyer for him. A mediator ... who practices commercial litigation, arbitration ..
Placement available with Corporate Legal Group in major bank. Employment with Weinberg Lawyers- Commercial Litigation Paralegal (suit 3rd ..
Jenifer is a Corporate and Commercial Law Lecturer at The University of .. in Legal Practice and is admitted to practice as a barrister and solicitor. ... the area of corporate law and commercial litigation to Mark Hoffmann QC. ..
40+ items – Case Management and Complex Civil Litigation, Federation ..
Legg and Turner, "When Discovery and Technology Meet: The Pre-Discovery ..
Legg, "Reconciling Litigation Funding and the Opt Out Group Definition in ..
easily and cheaply with early legal intervention. – Commercial lawyers need to learn when to involve litigation lawyers. – Litigation lawyers need to be conscious ..
Complex Commercial Litigation. .. For example see the comments of the Federal Attorney-General, The Hon Robert McClelland MP, Speech to Australian ..
She spent her early years as a litigation lawyer, specialising in commercial litigation. In 1989 she was the first Lionel Murphy Foundation international scholar. ..
investment, corporate litigation, and IT/IP/telecommunications law. She has also .. solicitor in Victoria, as a legal practitioner in Queensland, and as a barrister and solicitor of the High Court of .. Complex Commercial Litigation. Concepts ..
Joint winner Young Distinguished Alumni 2007 - University of New .. He began his career as a commercial litigation solicitor with Freehills, and, after only a few years, was appointed a Senior Associate of the national firm Minter ..
.. handles a wide variety of matters including commercial litigation, franchising, .. Dehsabzi Lawyers are seeking to recruit a legal secretary/ ..
Ross was admitted as a solicitor in 1994 and as a barrister in 2007. .. law, rural conveyancing and commercial litigation Ross relocated to the ..
Transactional Law Program at Melbourne Law School Program ..
Ross has had a commercial litigation practice .. (Melbourne and Sydney seminars) Benny has worked in Singapore, Hong Kong and Melbourne as a lawyer, .. He has practiced as a lawyer for two and a half years in the Corporate Advisory and Commercial Litigation team at one of Brisbane's largest law firms, Hopgood ..
Mr - Faculty of Law, Law School.. Mallesons Stephen Jaques (Melbourne) and a senior solicitor with a London .. private practice experience in corporate insolvency and commercial litigation .. Commentator: Mark Jennings, Office of International Law, Attorney- .. arbitration, international commercial arbitration, commercial litigation ..
URL for Business Card: Paul. .. Mathematics, Philosophy and Law, and the Australian National University, where he held a .. He practised in commercial litigation in Perth to gain professional experience (1990-91) ..
After graduating in Law he was employed as a solicitor with Allen Allen and .. as a barrister specialising in commercial litigation matters including contract, .. The Master of Business Law (MBL) reflects the importance of legal literacy and business law expertise among non-lawyers working in business, finance, .. Japanese Law · LAWS6884 - International Commercial Litigation ..
Miiko was admitted as a solicitor in 1996 and called to the Bar in 2001. ... 'Using the Evidence Act – tips for commercial litigation' – presented ..
Information Session - Master of Applied Law (Commercial Litigation). Thu 2 Feb. Join us from your desk for an information session about our Master of Applied ..
Graduate Diploma in International Business Law - Course search .. The Graduate Diploma in International Business Law (GradDipIntBusLaw) .. Japanese Law · LAWS6884 - International Commercial Litigation .. designed for lawyers or non-lawyers who wish to upgrade their qualification(s) ..
.. Legal Education (CLE) for practising lawyers to maintain their mandatory professional development; .. Master of Applied Law (Commercial Litigation) .. The Applied Law Programs business unit is responsible for the delivery, design and ..
At the beginning of her legal career she worked in large national law firms and practised in the areas of commercial litigation, and insurance law. She has ..
Pauline has practiced as a lawyer in the areas of commercial litigation, corporate and international transactions in city law firms and ..
Property, Corporate and Commercial, Litigation, Advocacy, Wills and Estates, .. Admitted as a solicitor in the Supreme Court of New South Wales and the High ..
Lawyers seeking to upgrade their commercial and regulatory skills can select from .. Competition Law and Intellectual Property · Complex Commercial Litigation..
'Fleur is a solicitor who has practised in commercial litigation and all aspects of commercial law.'. She has been a volunteer at several community legal centres, ..
Is mediation getting on the nose? Are the judges killing mediation? by G Gibson - 2005of commercial litigation in the County. Court or Supreme Court – when the meeting is held under the aegis of the court, and where the lawyers far outnumber the .. This subject covers a range of issues arising for commercial litigation practitioners during the conduct of matters involving complex litigation. This subject aims to ..
.. principally in the areas of intellectual property and commercial litigation. .. Regulation of practitioners; The lawyer's duty to the client; The lawyer's duty to the ..
.. ,Complex,Commercial,Litigation,Concepts,&,Controversies,Criminal,Justice: .. .,admitted,practice,as,barrister,solicitor,Victoria,,practitioner,Queensland,,High .. The Hon Justice Ashley Black (BA 1984, LLB 1987, LLM 1993 ..
.. of high profile commercial litigation cases since joining the firm in 1989. .. of Australia in 1988, following his admission as a solicitor in 1987. .. The seminar will discuss recent developments in personal injury law and litigation. .. in the personal injury field and explore the effect on insurance cover and litigation .. General Practitioners; Commercial Lawyers; Insurance lawyers and ..
Research Supervisor Profile for Dr Kate Miles - Research Supervisor ..
She has been lecturing at the Faculty of Law, University of Sydney since 2004. Kate has also practiced as a solicitor in commercial litigation in ..
She worked as a litigation solicitor from 1987, until she joined the .. broad range of commercial, common and administrative law litigation, and ..
What sets Gadens Lawyers apart from other firms is our unwavering .. major practice areas namely, Corporate/Commercial, Litigation and ..
John Graves is a commercial lawyer providing a broad range of corporate and commercial legal services. .. including general commercial litigation. 3.15-3.30 .. Presented by Mr. James Nickless, solicitor at MBA Lawyers. .. defamation, trade practices, international commercial disputes and general commercial litigation. ..
Mon 16 April, Civil Litigation. Tue 17 April. Problem Solving & Work Management and Business Skills. Wed 18 April. Lawyer's Skills. Thur 19 April. Lawyer's ..
Commercial Litigation Handbook and Application Form. Program information and application form for the Applied Law (Commercial Litigation) Program. More ..
Paul is a senior member of Freehills' national litigation team and head of the Perth .. top litigation lawyers in Western Australia (WA Business News 2004, 2005; ..
Princesses Privacy and Paparazzi” (2005-2006) 50 New York Law School Law ..
Dispute resolution focuses on the lawyer's essential task in working with .. International Commercial Mediation Competition .. Complex Commercial Litigation..
ANU COLLEGE OF LAW Professor Peta Spender appointed to ACT ..
Attorney General Simon Corbell today announced the appointment of the part-time .. “Professor Spender has experience in commercial litigation, corporations ..
Commercial Equity Litigation, 6, A students should have a working .. program, but also to lawyers, regulatory staff or compliance professionals. ..
1 National Judicial College of Australia Conference on the ..
not just 'big' litigation, and it's not just 'big' commercial litigation, and this .. years. Judges and lawyers from other countries look at this and recoil with ..
Before coming to the Bar, Mark was a solicitor specialising in insolvency and commercial litigation and spent two years as an Associate to a ..
Senior Corporate Lawyer, Sydney Airport Corporation Limited .. I worked in commercial litigation for some years in New Zealand before ..
Commercial Litigation · In-house Practice .. This subject deals with the in-house lawyer's role in the creation and development of appropriate organisational or .. Prior to joining the College of Law, Renee practised exclusively in the area of commercial litigation, most recently as a senior associate at Kemp Strang Lawyers .. I was admitted as a barrister and solicitor of the Supreme Court of Tasmania and .. and Allport for 3 years, mainly in the areas of civil and commercial litigation. ..
by M DAVIES - Increasingly, transnational litigation takes the form of a battle about where the ... Private Commercial Arbitration: Expectations and Perceptions of Attorneys and ..
Commercial Litigation · In-house Practice .. Natasha Playne, CFO Strategic; Virginia Shirvington, former Senior Ethics Solicitor, Law Society of New South Wales ..
160+ items – Postgraduate courses. Course name. Course code, Course .. This program is suited to those lawyers who wish to focus on dispute resolution to support .. Administrative Justice · Complex Commercial Litigation · Concepts ..
as plaintiffs' lawyers to portray what is essentially a very profitable business as public interest litigation or part of the fight for social justice. It is often said that ..
Commercial Litigation · Program at a .. Continuing Professional Development · Legal Practice Management Courses · LAW 9000 · Lawyers Crossing Borders ..
Cyberspace a jurisdictional challenge for lawyers - News and ..
Cyberspace a jurisdictional challenge for lawyers .. He teaches Transnational Commercial Litigation in the Sydney Law School's LLM in ..
Suzanne commenced legal practice as a personal injuries lawyer in Sydney with .. She progressed to commercial litigation and professional indemnity advising ..
International Commercial Litigation, 6, A undergraduate law degree and basic understanding of private international law from any legal system. N LAWS6824 ..
Ian Ramsay is the Harold Ford Professor of Commercial Law in the .... worked as a solicitor in the corporate, property and commercial litigation ..
litigation funding and participation in shareholder class actions, such as the .. The Master of Business Law has been designed for non-lawyers involved in the ..
Master of Business Law (MBL) - Future students - The University of ..
A flexible qualification in business law and regulation, this program offers candidates the opportunity to select .. Commercial Equity Litigation ..
by JH Wade - This is the daily work of government, litigation lawyers and vast dispute .... including fear of ridicule, legislative interference, and loss of local business. to award ..
by GA Moens - 2004 - growing awareness among lawyers and business people that litigation is not the only, and frequently not the best, method of resolving commercial disputes. ..
Meet Ian Serisier (Special Counsel), at Swaabs Attorneys. .. Steve is the content writer for the Commercial Litigation Practice Program for the topic Intellectual ..
Commercial Litigation · In-house Practice · Program at a Glance · How .. Lawyers are often perceived to have poor management skills. Lack of attention to good ..
Career options include lawyer in either general practice or in a range of specialisations including corporate and commercial, litigation, ..
by V Waye - 2007 - - LAWYERS AND LITIGATION ENTREPRENEURS. VICKI WAYE*. Aims and Objectives of this Article. The implication that litigation funding is a 'dirty business' ..
Courtney Young selected as finalist in 2011 Lawyers Weekly ..
Courtney Young selected as finalist in 2011 Lawyers Weekly Awards .. top end of town in commercial litigation, in a community legal centre, ..
Commercial Litigation · In-house Practice .. The in-house lawyer is sometimes referred to as the "corporate conscience", as they are called on to advise upon the .. I am a Partner in the Litigation Group at Gilbert & Tobin Lawyers in Sydney. Gilbert + Tobin is a large commercial law firm and currently has 51 partners and ..
UTS: Graduate Diploma in Legal Practice - postgraduate .. Admitted to Practice as Barrister and Solicitor of the Supreme Court of ... (v) “A Review of Professional Liability”, seminar paper in Commercial Litigation, ..
presumably means it's a lot of lawyers. He has had a distinguished career as a lawyer in litigation areas, both in commercial litigation and in a series of ..
Melbourne Law School's extensive subject offerings in commercial law ... Accounting for Commercial Lawyers · Advanced Civil Litigation .. He was formally a Judge's Associate in the Supreme Court of Queensland and a commercial litigation solicitor. He says his background in law ..
Commercial law is the study of law as it relates to commercial .. Business Litigation and Disputes (3) .. Prior to joining Macquarie, Hope worked as a state attorney and before that was an in-house counsel with a commercial ..
Commercial litigation lawyers • In house counsel • Commercial Law practitioners • Solicitors in General. Practice • Banking & Finance specialists • Insolvency ..
Postgraduate Law @ Sydney Master of Laws (LLM) by Coursework .. Litigation with the Law School's Dr Andrew Edgar. ... International commercial litigation ..
.. 1993: Articled Clerk. Specialized in commercial litigation. .. Admitted to Practice as a barrister and solicitor, Victoria: April 1993. Radio Presenter, Done By ..
Lisa's core practice areas include commercial litigation, sports law, .. of the ACT, the Women's Lawyers Association of the ACT and is a past .. While specialising in commercial litigation, he has acted pro bono in many human .. Chris Sidoti is a human rights lawyer, activist and teacher. .. He practiced as a barrister and solicitor from 1972 to 1991 and was a partner in .. structures, insolvency, trusts and equity, commercial litigation and media law. ..
.. The Professions, School of Law, Faculty of Economics Business and .. at Gadens Lawyers Melbourne, specialising in commercial litigation. .. Since June 2007, the global economy has been rocked by a credit ..
International Commercial Law, Litigation and. Arbitration. Edited by .. proceedings of an International Commercial .. The Commonwealth Attorney-General, the ..
environmental governance issues. A New Zealand national, between 1997 and 2004 Fiona practised as a litigation lawyer with commercial law firms in Ireland ..
between the commercial lawyers and litigators. For instance, insolvency, employment or intellectual property lawyers can (and do) apply their special expertise ..
by A Chay - 2002 Trainee Solicitor Program · Summer Program .. 6TP1/2012, LPP113 Civil Litigation LPP115 .. 6TP4/2011, LPP114 Commercial LPP116 ..
Miryana is a commercial litigation lawyer by background, having commenced practice in Australia. She set up a base in London in 1997, and has assisted law .. Certificate IV in Legal Services Course | Open Colleges Cengage ..
During her legal career, Roshan specialised in property and family law, commercial litigation, and wills and probate. Over the past four years, she has gained .. Researchers : ARC Federation Fellowship : The University of .. In 2008 he completed a certificate in Islamic Business Studies at the Islamic ... as a lawyer in Indonesia, particularly in the area of litigation. ..